Three out of the last four Pixar films have been sequels, which is odd for a studio widely recognized for freshness and originality. This isn’t to call out the studio, or pass judgement, more to just point out that it is becoming harder for Pixar to claim they only make sequels when they have a good story, not to make a buck. Monsters University is the first prequel from Pixar, and in some ways that makes it the least necessary franchise entry to date. 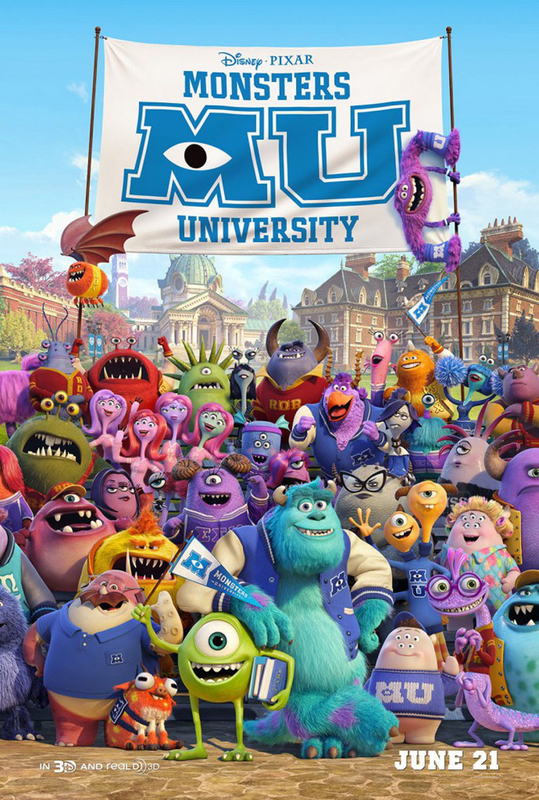 The main plot of the film begins with naive Mike Wazowski’s (Billy Crystal) first day at Monsters University and his first class with James “Sulley” Sullivan (John Goodman). While Mike is the nerd with the life plan, Sulley is the class jock, skating by on his towering frame and family name. A rivalry quickly forms, but after both Mike and Sulley are kicked out of the program by Dean Hardscrabble (Helen Mirren), the two must work together to turn the ragtag crew of fraternity Oozma Kappa (“We’re OK!”) into the top team of scarers. This group includes various archetypes for bumbling sidekick, including “mature student” Don Cartlon (Joel Murray), the nervous Squishy (Peter Sohn), the odd Art (Charlie Day) and two headed siblings Terry (Dave Foley) and Terri (Sean Hayes). What I enjoyed most about the original film was the world building of this parallel universe, and while the prequel is not a ‘hidden world’ movie technically, there’s a lot of fun to be had in the monsterization of college tropes. In fact, this film has as much in common with Pitch Perfect or Animal House as it does with the original film, and the change in setting is a welcome one. There’s a lot of material to draw from college stereotypes and the humor stemming from that repeatedly landed for me. There’s a lot of stuff happening in the background and jokes for adults of course, so those of you facing repetitive home viewings shouldn’t be fearful. While no one could dare call this film original, Mike and Sulley are certainly characters worth revisiting, and seeing the origin of their relationship is a welcome one. Monsters University is a pleasant film more than anything else, and while the third act makes some interesting choices, this is a solid entry in the Pixar canon, but an unremarkable one. Monsters University opens today in Philly area theaters. 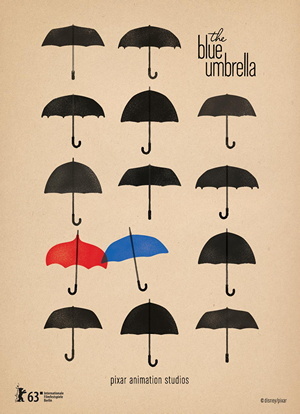 The short debuting before Monsters University might easily be the most divisive film Pixar has ever released. The animation is photorealistic enough to make you think it is live action for the first few minutes. While the story of the short is very slight, it is as poetic as it is clichéd, making this feel mostly like a proof of concept. I could understand complaints about some uncanny valley like shots, but I feel that the short more accurately reflects the imagination of children when it comes to inanimate objects.